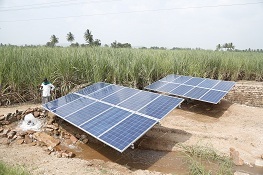 Solar pumps is an area that Ravindra has developed in conjunction with farmers in Northern Karnataka. State policies provide free power to farmers in Karnataka but often they are the worst affected by load shedding. Our aim has been to develop a system that provides consistent electricity allowing farmers to improve yields and secure their crops and that is also affordable for the farmer – our current lease structures seek to address affordability. 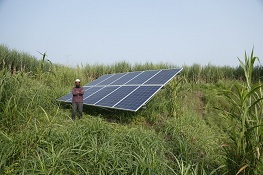 Ravindra Energy is a Ministry of New and Renewable Energy “Off grid channel partner” and an “Empanelled supplier of solar pumps”. 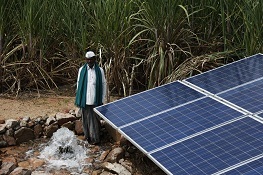 These accreditations allow us to offer central and state subsidies applicable to solar pumps. Designed by Arrant Software Solutions. Copyright © 2016-17. All right reserved.